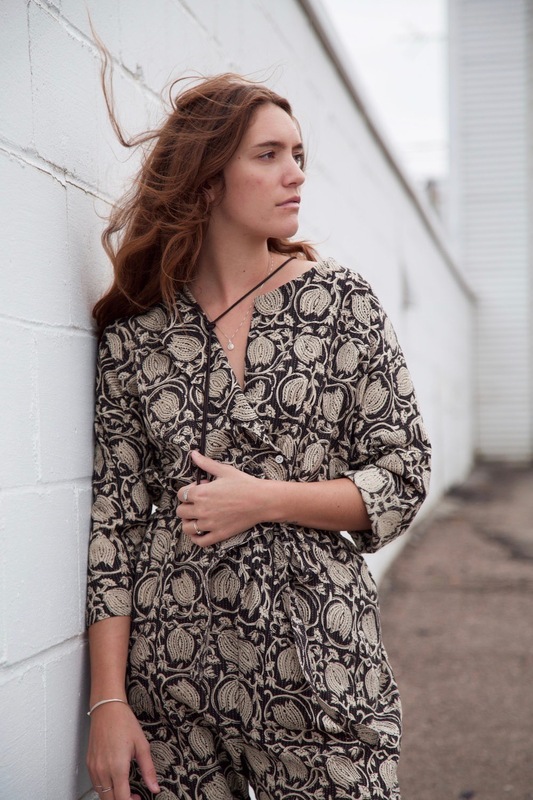 Our Lead Seamstress, Elsie, Styles New Spring Pieces! This week, our lead seamstress and production design coordinator, Elsie, styled a handful of our new Spring releases! 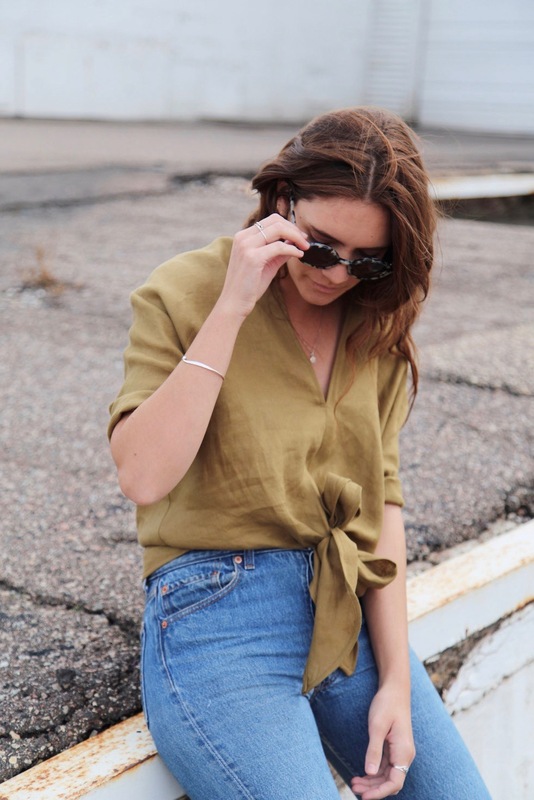 Elsie is an avid thrifter in her free time, so we knew she’d come up with some fun ways to accessorize. 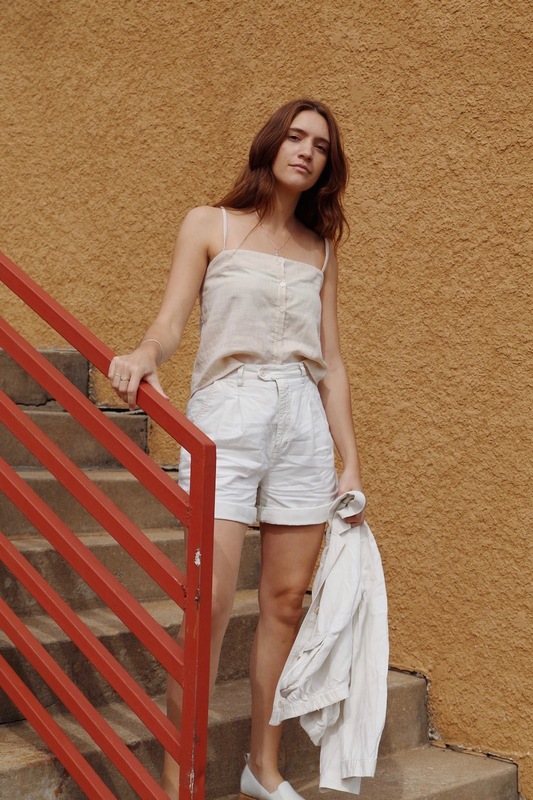 We love her thrifted straw hat and button-downs that she amazingly alters to make them fit just the way she wants. I guess you can say we’re lucky to have Elsie on our team? 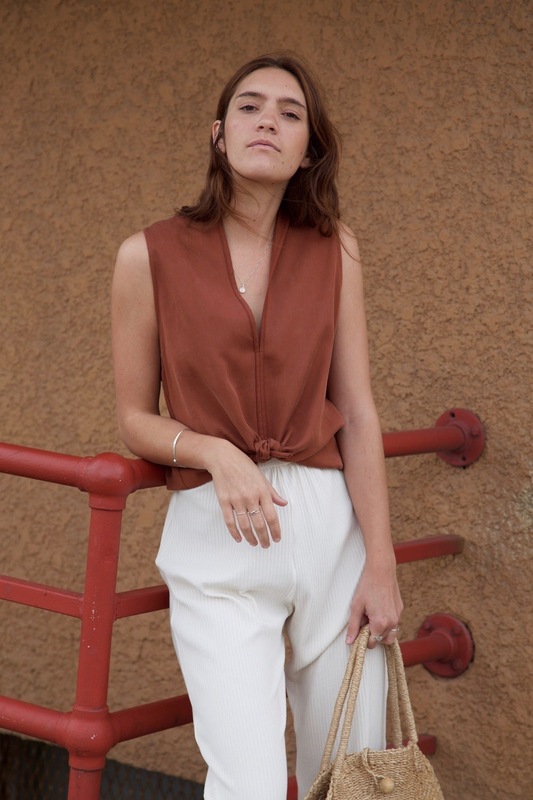 Elsie’s favorite piece from the Spring Collection is the French Seam Tapered Pant in Tapenade that she styled with thrifted white button down for an easy all-linen outfit. 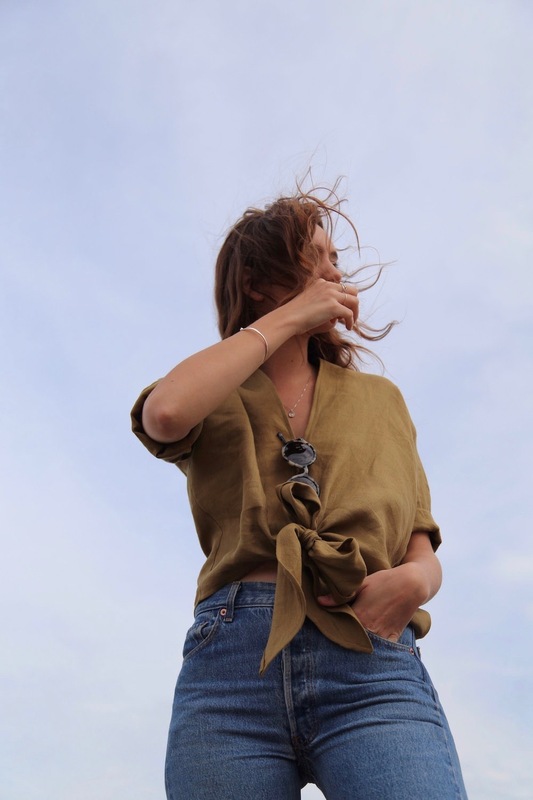 Shop all of Elsie’s favorites from the Spring Collection here.